"Pros: Close to many food and entertainment options, 10 minut..."
Have a question for New Nikom Court? "Close to Central, multiple dining and nightlife venues." 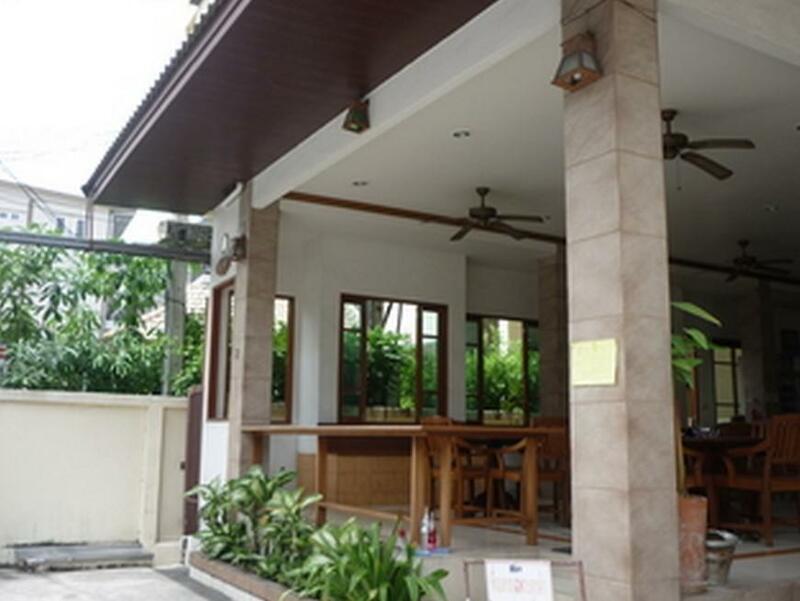 "Good hotel, nice staff good location no complaints"
"2 bottles of water provided daily, and there is a decent siz..."
With excellent location ratings, the New Nikom Court allows you to easily enjoy all that Pattaya and its surroundings have to offer. This hotel is near Tony's Gym, International Gym, Golden Gym, K Driving School, and Communications Authority of Thailand. It offers a coffee shop, so guests can sit down and relax with a freshly made espresso or cappuccino while enjoying their well deserved getaway. The New Nikom Court has several convenient features, such as a laundromat, shops, as well as safety deposit boxes. All of the rooms come with air conditioning, free bottled water, a shower, and a coffee or tea maker, as well as a desk, a refrigerator, a fan, and satellite or cable channels. The New Nikom Court provides free Wi-Fi in all rooms, as well as Wi-Fi in common areas, ensuring that guests are able to connect with their friends and family back home without splurging on international charges. This hotel offers a variety of convenient services, such as a concierge, laundry services, as well as daily housekeeping. It has a front desk that's open at all hours, so there is always a member of staff behind the desk to answer any questions that you have. The New Nikom Court offers an assortment of transportation options, such as taxi services and airport transfers. Pattaya Railway Station is 3.0 km away and Bus Terminal is 3.0 km away. The nearest airports are Utapao International Airport (UTP) and Suvarnabhumi International Airport (BKK), which are located 29.6 km and 86 km away. The New Nikom Court offers check-in from 02:00 PM until 12:00 AM and check-out from 08:00 AM to 12:00 PM. This Pattaya hotel provides express and 24-hour check in and check out, enabling you to conveniently choose the option that best suits you. Nested in the busiest part of Bau Khau Road! The hotel was quiet clean and in a good location. Close to Central, multiple dining and nightlife venues. Can get noisy on Saturday night. GOOD Good sized room, very comfy firm bed, reasonable shower. Efficient friendly staff on reception, and efficient room servicing. BAD VERY OLD TELEVISION...On arrival I was looking around for a handle to wind it up! Also, too small for the room - couldn't read the scroll across the bottom of the screen, also because it was not well focussed. Thin walls between rooms - fortunately my neighbours were not rowdy. Very harsh bright white lighting - quite unpleasant. No room safe, only in reception. No adjustment to air-con temperature, just an on/off switch - could be quite cold at times! No easy chair to relax in. Poor wifi - slow, and often didn't complete loading pages. Just about made do with it. good value for money,only complaint was the extremely hard mattress. Pros: Close to many food and entertainment options, 10 minutes walk to beach or Central Plaza, and relatively quiet. Good price for high season. Very amenable staff invested in your comfort and safety. Very well kept, clean property in budget category. Off street covered parking for motorbike. Cons: These are more category issues of budget hotels. Some have, some don't. No room safe but 24 hr access security box @ desk. Hot water pot only in lobby. Wi-Fi good but occasionally slow and spotty. Hot shower units have a low volume shower head, easily remedied by bringing your own or just settling for a longer shower. Would easily stay again. And the courtesy and workability of the staff was better than I've had in more expensive properties, even with language differences. Great location. Great price. No frills. No pool. No gym but a very convenient location. New Nikom Court is located on Soi Lenkee, which is just off the busy Soi Diana & Soi Buakow junction. Get a room at the back if you are a light sleeper. I stayed in room 408 for 1 month in 2015 and just got back from a 2 week stay in May 2017 and stayed in 407. The setup is very basic, budget orientated, but I found the bed very comfortable, though some find it hard. There is an AC unit and a fan in the room. The fan has 3 speeds and can be noisey at top speed, but is very quiet at speed 1. 2 bottles of water provided daily, and there is a decent sized fridge with NO minibar. Toilet and shower are functional. Warm water all day. Water gun as standard in most hotels in Thailand. Daily loo rolls, soaps provided. Wifi was consistently good. Price was extremely good at 700 baht per day from the hotel, but could get slightly better rate through Agoda. As a single traveller, I would recommend New Nikom Court to anyone who wants to be in the action zones of LK Metro, Soi Diana, Soi Buakow areas, who also wants a good sleep at night, and all for a great price. There are also a number of decent eateries on Soi Lenkee from street food stalls serving Noodles, Fried Chicken, Som Tam, Pat Kapow, to Faranag food establishments like The Devonshire, Jolly Friar, Steak & Co, Retox bar & restaurant. I will always use New Nikom Court for my hols in Pattaya. 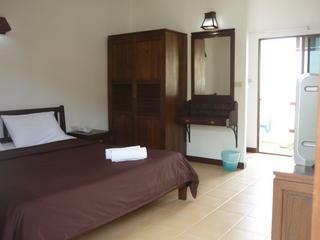 The rooms are basic, but relatively good value. The location is great, on a quieter street just off Soi Buakow. Bed is rather hard, and they need to put new shower heads and tvs in the rooms. Other than that, I like it and would stay again.